Three years ago yesterday, July 23rd, 2011, was a day I’ll never, ever forget. 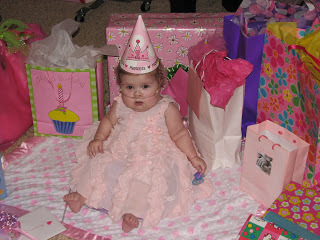 Annabelle had just celebrated her 1st birthday a few days prior. The night before, she’d been a little puny and we’d toyed around with whether we needed to take her to the ER, but her oxygen level settled down and we figured we could wait and call cardiology in the morning to get their opinion. In the middle of the night (early morning on the 23rd) Annabelle started screaming. She cried and cried. I did what I knew to calm her down, but nothing was working. I rocked, I let her cry it out for a bit. I gave her a pacifier, but it just kept getting more frantic. When rocking her, I started to really look at her and frowned. It was dark in her room, but something wasn’t right. I turned on the light to realize that my baby was BLUE, and all the classic signs of respiratory distress were there. I screamed for my husband to come in there. He woke from a dead sleep (he’s a sound sleeper) and stumbled in, and helped me check her oxygen level. My heart panicked when I saw those horrible numbers. 40. My baby was satting FORTY! She was on oxygen 100% of the time anyway, on a low flow, so we cranked it up as high as it would go, 5 liters. Her O2 sat climbed started climbing, so we got her carseat and started to frantically get her buckled in to take the 45 minute trip to the hospital. But then her levels started to dip again, and she stopped crying, her eyes glassed over. My heart was racing and my hands trembling as I grabbed my phone and called 911 for the first time in my life. All the time I spent in the hospital kicked in. I explained her Sats’, her history, her non-responsiveness, but that her heart rate was still normal. I have no clue how I got all of that out in a way they could understand me. A few minutes later, a paramedic barged through our door. He didn’t even take time to look at her, just grabbed her in her carseat, grabbed her oxygen tank, and ran to the ambulance, me running behind. They jumped into the back of the ambulance, yelled at me that I could ride with if I wanted, and a moment later, were racing down the street. The first few minutes were a blur, but I remember hearing the paramedic tell someone on the radio that they would drive her to Vanderbilt. Then a moment later, he dove for the radio and a flurry of activity and shouts came. Instead of Vanderbilt, they drove to the nearest hospital and met the lifeflight helicoptor. When I got out of the ambulance, I finally looked at my then very blue daughter in the back to see paramedics giving her chest compressions and trying to blow air into her lungs. I stood there, arms clasped around my body, shaking.I didn’t know how to pray. I didn’t know how to think. I just… I just stood there. Finally the lifelight doctor came out and told me she’d stabilized Annabelle, got her heart rate back up with some epi, and had intubated her in the ambulance. They would immediately transport her to Vandy Children’s. The helicoptor pilot told me they don’t usually let parents ride with, but he would let me if I promised to be calm. I promised, and I was. No one ever did figure out what exactly happened to Annabelle that night. One doctor said maybe it was pneomonia, but that was a guess, and not really super likely. They treated her for rejection of her heart, just in case, even though it was not a classic case. 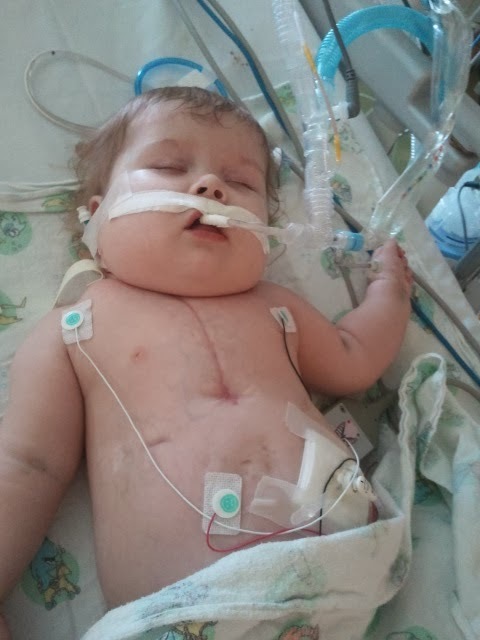 We just know that for some unspecified reason, her heart wasn’t functioning well, her lungs were completely full of fluid, and my sweet daughter had almost died at home. We came home around 2 weeks later. Thankfully, that was the last “big” scare we’ve had. 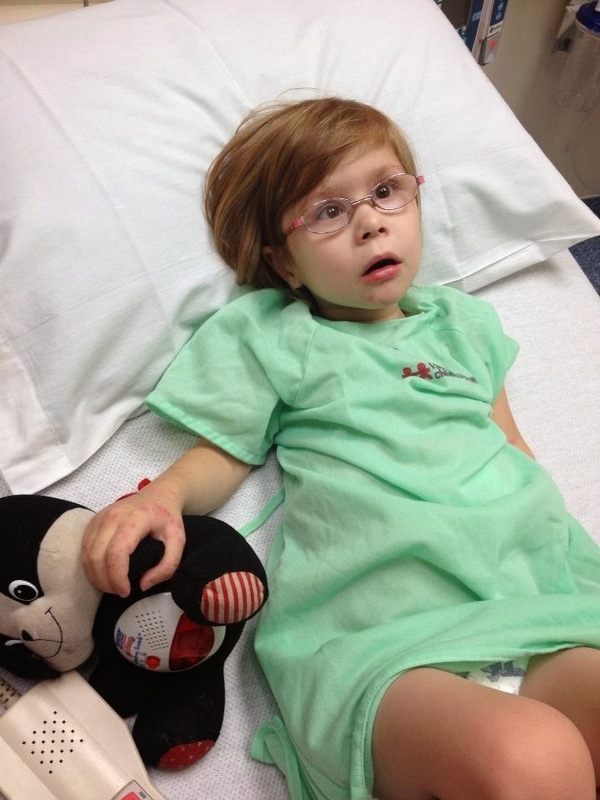 Since then, we’ve wrestled with an unimaginable number of virus’s, spores, bacteria, and other issues that have kept her in and out of the hospital. July 23, 2014… 3 years later! Yesterday, on the 3rd anniversary of that most horrifically scary day…. we found ourselves headed to the emergency room at Vandy Children’s. Thankfully, it wasn’t anything nearly as scary. The thinking is that her CDIFF has made a comeback, because the night before she was vomiting and having grossly watery stools again to the point that she’d become dehydrateed. Sitting in that room almost ALL day tonight… it was amazing to think how far we’ve come from those times early on. I’m so thankful beyond words that we’re not dealing with something more serious right now. I can look back and remember those scary times and realize that these blimps in the road are nothing in comparison. Perspective is a crazy thing. Discussion: What has God used in your life to give you perspective? Praying for you and Miss Annabelle.